Shaykh Muhammad Hisham Kabbani is one of the world’s most renowned scholars of Islamic history and the spiritual science of Sufism. As deputy leader of the Naqshbandi Haqqani Sufi Order, Shaykh Kabbani also serves as a guide and teacher to approximately 2 million Muslims throughout the world, particularly in the United States, England, and Southeast Asia. Shaykh Kabbani is the founder of the Centre for Spirituality & Cultural Advancement, and is a world renowned lecturer and teacher of the principles of global peace, harmony, and unity amongst all faiths which defines Islamic spirituality. He serves as a guide and teacher to millions of Muslims throughout the world, including the UK, Southeast Asia and the United States. 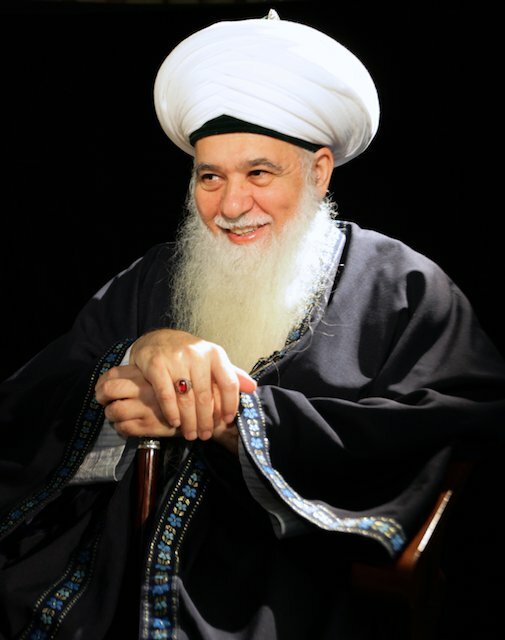 A prominent scholar of mainstream, traditional Islam, Shaykh Muhammad Hisham Kabbani has spent his life spreading the teachings of peace, tolerance, respect and love that are the message of Islam throughout the world. In the United States, Shaykh Kabbani has continued to disseminate the light and peace of Islam’s spiritual dimension to people of every background, ethnicity, race, and belief. Using a framework of traditional Islamic teachings, texts and pedagogies, Shaykh Kabbani addresses religious and social/contemporary issues in an authentic religious paradigm that is palatable for mainstream as well as at-risk youth or young adults who were previously either drawn to violent religious movements or a life of crime and drugs. Shaykh Kabbani mobilizes local community leaders to invest in community centers that estblish programs including intensive deradicalization and theological courses, workshops on classical Islam and spirituality, as well as motivational sacred movement sessions that use uplifting song and instruments to induce a state of well being. It is through the powerful combination of religious retraining and music that young men and women are brought back to the mainstream of society and pursue positive life choices. He has lectured in many universities, including Oxford, the University of California at Berkeley, the University of Chicago, Columbia University, the American University, Howard, McGill, Concordia, and Rutgers. Founded 23 Islamic study and meeting centers in the U.S. and Canada. Founded an Islamic retreat and healing center in Michigan. Founded the Islamic Supreme Council of America, an educational organization dedicated to the dissemination of informative material on Islam and the presentation of an authentic, scholarly Islamic viewpoint on world affairs. Established the American branch of the Haqqani Educational Foundation, dedicated to promoting the fundamental teachings of Islamic belief, including tolerance, respect and peace. Served as advisor and speaker, Northern California Interfaith Conference, San Francisco. Established As-Sunna Foundation of America for developing, publishing and organizing conferences to provide classical Islamic education. Chairman of American Muslim Assistance relief organization, working to help the indigent, orphans and refugees in America and throughout the world. Founder of the Muslim Magazine, top-rated English-language Islamic newsmagazine with a truly moderate approach. Founder of Kamilat, international Muslim women’s organization. Co-Founder of Alliance for Islamic Culture and Arts. Chairman of the highly successful International Islamic Unity Conference, whose second conference took place in Washington, DC from August 7-9, 1998. Founder of top-rated websites: sunnah.org, unityone.org, islamicsupremecouncil.org, naqshbandi.org, naqshbandi.net and eshaykh.com. Works closely with the government and people of Uzbekistan to restore traditional Islamic practices and prevent the increase of religious radicals in the region. Co-founder of the Haqqani Worldwide Educational Foundation center for teaching Islamic Divine Law and spirituality in London, England, which houses over 800 students each year and more than 2,000 students per year who attend seminars, workshops and retreats for learning about the essentials of Islam. Speaker and advisor, Inter-Religious Organization, Singapore. Working at the highest political levels to support relief efforts in Bosnia, Kosova, Afghanistan, Iraq, his native Lebanon and Somalia. Supporting peace initiatives in the Middle East, Bosnia, Kashmir, Afghanistan and Kosova. Working to free political prisoners and prisoners of conscience the world-over. Working with international organizations to establish the International Day of the Orphan as a globally-observed day for highlighting the plight of orphans, foster children and child victims of abuse. Co-developer and former General Manager of the Islamic Jeddah Medical Center in Saudi Arabia. Invited by Maharishi Mahesh Yogi to attend the opening of his first healing clinic in October 1998. Met with Devi Gowda, former PM of India, and C.M. Ibrahim, at that time Aviation Minister of India, when they were all guests at the 7th annual conference of the IMRC in San Jose, 1997. “Principles of Leadership in War and Peace,” a fatwa which rejected the validity of militant jihad today. The fatwa was translated into Arabic and was distributed by the US military to combat insurgency in Iraq. Through the Eye of the Needle, Shaykh Nazim Adil al-Haqqani, Shaykh Muhammad Hisham Kabbani, editors. Islamic Supreme Council of America, 204 pgs, 2008. Encyclopedia of Islamic Doctrine. Kazi Publications, 1998. September 2001 – In the aftermath of the terrorist attacks, Shaykh Kabbani has conducted interviews with NBC’s Today Show, Fox News Live, CNN Headline News, USNews and World Report, The Wall Street Journal, NPR, the LA Times and many others. Summer 2001 – South East Asian media – Shaykh Kabbani’s efforts to promote traditional Islam in South East Asia were featured in several newspapers throughout Malaysia and Indonesia. September 2000 - Radio Free Europe/Radio Liberty – “Fighting Fundamentalism with Sufism.” Paul Goble reports on how the Uzbek government is adopting an Islamic approach to tackling the problem of militant “Islamist” infiltration of the nation. overshadow peace-loving, tolerant Muslims of the world. August 1998 -Discovery Channel – Interviewed in depth and served as a source on the mystical aspect of Islam for a one-hour documentary on Islam. August 1998 – Odyssey Channel – Interviewed as a main source for a half-hour special aired worldwide on the bombing of U.S. embassies in Tanzania and Kenya.